Traumatic injuries can happen to anyone at anytime, leaving emotional and physical scars. Scarring from injuries can leave disfigurement unlike any other. Dr. Talei, a dual board certified facial plastic surgeon is an expert physician in scar revision surgery and other revision surgery treatments in and around the Beverly Hills area. Although deep puncture wounds to the face are typically first treated in an emergency room, follow up treatment with a plastic surgeon is usually necessary. Often times, these types of injuries also require that lost tissue be replaced. Dr. Talei can work to not only replace lost tissue, but also restore damaged underlying bone structures. At the Beverly Hills Center for Plastic & Laser Surgery, Dr. Talei performs scar revision surgery to help remove the affects of scarring and restore a more natural look to the injured area. A complete assessment of the injured area is necessary to take into account the color, texture and thickness of the scar. From there, Dr. Talei will want to know your goals for the surgery in order to prescribe the right methods for treatment. 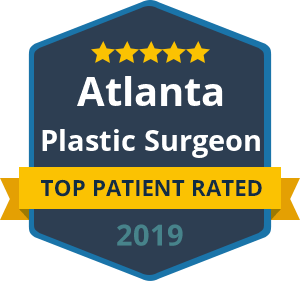 Dr. Talei has dual fellowship training in Facial Cosmetic and Reconstructive Surgery, Vascular Birthmarks and Congenital Anomalies with Laser Surgery, so surgeries like these are common place for him. Not only is he experienced, Dr. Talei has an artistic eye and delicate hand in surgery. Steps towards healing the cosmetic scaring from traumatic injuries can be a great step toward healing the emotional scars as well. If you have scarred tissue that needs revision surgery, contact our Scar Revision Surgeons today and schedule a consultation. We look forward to hearing from you.